Rize Artisan Pizza + Salads has closed its location at the 975 North Highland development on North Highland Avenue in Poncey-Highland. The pizza-centric restaurant's Poncey-Highland location was the first of two locations opened by the fledgling chain. The intown location opened this past November, followed by the Sandy Springs location earlier this past March. 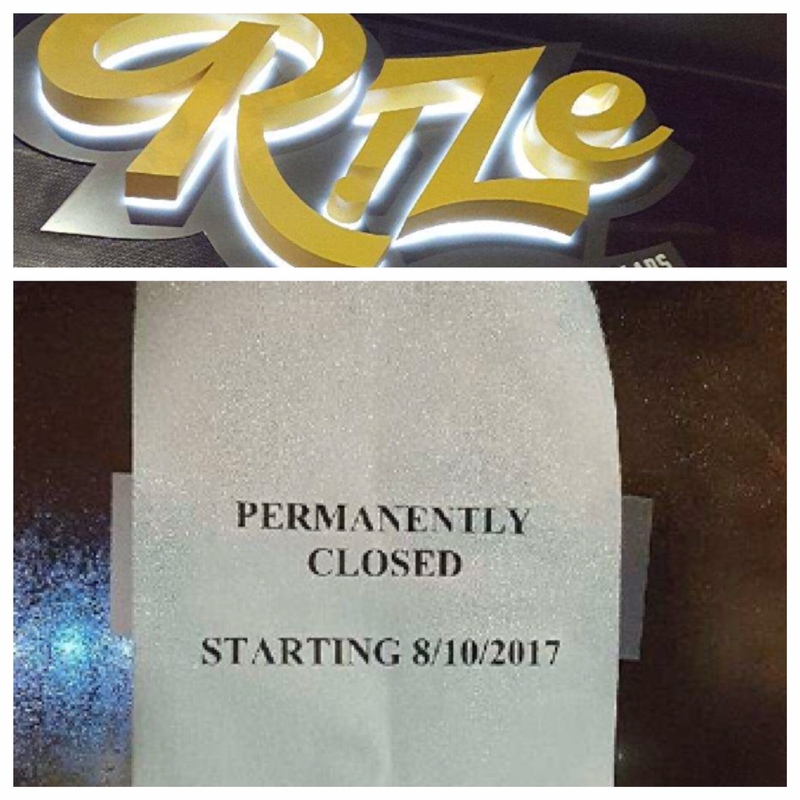 Rize posted signs to the doors of their Poncey-Highland location earlier this evening saying: "PERMANENTLY CLOSED STARTING 8/10/2017." ToNeTo Atlanta first reported of the restaurant's planned launch last April, pointing out the similarities in Rize and failed pizza and salad concept, Treza. From day one, I questioned the logic of securing a second lease for Rize before the opening of the first location of the unproven concept. While the circumstances and reasoning behind the closure are different from what caused Treza's closure, it's still sad to see so many people lose their jobs and so much money lost. According to sources familiar with the concept, John D. Smith, CEO of Rize, was let go from the company over six weeks ago. In addition to Smith's departure, a young lady who had been wooed from the San Francisco area to become the CMO at Rize, was let go just seven weeks into her tenure with the company. The cause of all the moves, sources say, was the loss of funding from Westwind Investors, LP, a Lake Tahoe area based private equity firm that had been the primary capital provider to the would-be chain. Peter M. Castleman, Westwind's founder, is said to have a personal net worth in excess of $1 billion and was previously chairman of Herbalife, a company he also unsuccessfully made a buyout offer for in 2007. Despite the fact that Rize was reportedly "cut off" from further Westwind funding in mid-June, the restaurant is still listed under "Our Companies" on the firm's website. Two major flaws that I noticed both in the messaging and marketing of Rize were that the concept seemed far too "corporate" and certainly too "high tech" from the start. "Rize provides its guests an innovative new dining experience that is artfully crafted, personalized, and truly memorable." "A private equity backed holding company formed to acquire, develop and operate branded restaurant concepts with the potential to scale to a national footprint." Truly great restaurants, the kinds of restaurants that grow to have "national footprints," mostly start small, organic, and economically, then grow years later. Take Zoës Kitchen for instance, started by Marcus and Zoë Cassimus in a quaint shoe box of a space in Birmingham, Alabama in 1995. The company went public in 2014, and surpassed 200 locations earlier this year. Instead of focusing on service and menu enhancements, Rize instead dumped "hundreds of thousands of dollars" into an app that really does little more than allow you to pay for your food. While yes, waiting for a check at the conclusion of a meal may be a "pain point" for some, the focus on this seemed rather misplaced in the grand scheme of things, especially for a concept with only two locations. Additionally, when they first opened, Rize offered twelve different types of gelato. This amount of variety, for something that not every patron will purchase, was both overly optimistic and eventually, wasteful. In an almost déjà vu like moment, I witnessed the gelato offerings had shrunk to just three options on a recent trip to their Sandy Springs restaurant, an experience I had at Treza a few weeks ahead of their closure. In an attempt to increase traffic at the restaurant, Rize started running a BOGO offer via Atlanta based Scoutmob. While the offer did bring people in, Scoutmob has long been known to be a favorite among "coupon hoppers," those consumers who simply "dine for deals," thereby creating no lasting positive impact on the restaurants they visit. As of now, the Sandy Springs Rize location, located in the bottom of the new Square One apartments at the corner of Hammond Drive and Roswell Road, remains open. The third Rize, planned for Dunwoody, is likely not happening. 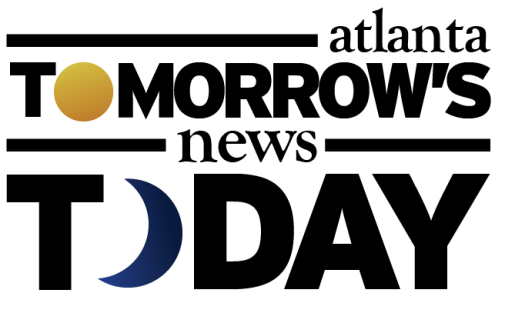 At last check, the last three remaining executives from the Rize opening team were, Eddie Russell, Director Culinary Operations, Peter deWeerdt, Digital Technology & Consumer Analytics and Ryan Coppola, Vice President of Operations at Rize Holdings, LLC. Are you surprised that Rize has closed so soon after opening? If you could pinpoint one issue with the Rize concept, what would it be? What would you like to see open in the likely abandoned Dunwoody location? I was just telling a friend about this place last night...how it was on life support. I must have jinxed it. I went here twice. The pizza was good, the concept was weird. I can say a lot more about failed food promises, portion sizes (any one order the meatballs?? ), etc. With so many proven pizza options in town, this wasn't going to win anyone over. I drove past it quite often and never went in. It never looked like anyone was in there eating. The space was huge, but no customers. We need more diversity with our food options. No more pizza and burgers - we have enough great options, especially in the in-town area. We only went to the Sandy Springs location once… and that was enough. Waiting in line to place our order when we had never seen the menu was not pleasant. We insisted on being seated. The server did not know how to take an order on her iPad device. Three of us were splitting three different types of meals. We asked for serving spoons and the server returned saying they did not have any! Extremely glad they are not opening in Dunwoody!! How about a great Mexican restaurant that will not fail the health inspection and has quality food! There's local pizza, there's chain pizza, there's cheap pizza, there's high end pizza. These types of "quick serve" places - Rize, Maddio's etc. just don't have a place. You want quick pizza? Go to Fellinis. You want chain pizza, call Papa Johns, Pizza Hut, Dominoes, etc. You want cheap pizza, go to Cici's. You want high end pizza, go to Antico. Pizza isn't an area that needs this quick serve niche. It's always been quick serve. It's dough, sauce, and cheese. It's not that difficult to make. As stated in the article, I hate to see people lose their jobs, but sometimes people need to take a step back and say - is this concept logical? sustainable? good? There are some very creative mockups for the space in Dunwoody to be used as a town center/community park. My hope is that now that demolition has already happened on the space, the city of Dunwoody gets smart and buys this property for such a purpose. It is such an important intersection for the city and a nice town square would do wonders for property values and "livability"/"desirability" of Dunwoody. We have plenty of retail and food options that we can use this property for something forward-thinking. We started going to the Highland Avenue location early on. The food was fantastic. It was an 'interesting' concept with pager/pay/app, but the service was good. The staff was friendly, attentive, and one manager in particular always stopped by to see how we were doing. A couple of months ago that started changing. Then came the announcement they were changing the menu. Pastas were going away. My favorite part.Oh well, the remainder of the menu was still good. They also said they were going to traditional table service. Okay. That didn't work. We went in a week ago Sunday and the first thing I said was, "It looks like they're going out of business." The service was absolutely awful. The food was still good, as always. Of the three tables seated, I watched one couple have to repeated go looking for service. Like more than 3 times. The two servers time was monopolized by a fellow who looked 'important', probably one of the remaining execs. He spent the rest of his time dealing with screwed up orders for the people waiting far too long for call in orders. It was a train wreck. I wanted to write a comment to them immediately upon arriving home, but aside from making a public post on their Facebook page they gave no contact opportunities. In a neighborhood filled with locally owned, walkable restaurants, the one thing they should have done was focus on service and being a part of the neighborhood instead of corporate branding. Damn - they have the best gluten-free pizza in town using a freshly prepared crust and not a frozen one. I didn't think they would have problems this quickly. I am hopeful the Sandy Springs location stays afloat. How about not being ridiculously picky and demanding? christ. It's pizza. How complicated do you have to be, "Varda"? I loved Maddio's (only place with whole wheat and gluten free crust that I've seen), but apparently no one else did. Rize manager? Is that you? I predicted they would be closed at SS location by year's end. Menu has shrunk since original concept (menu on line different than at restaurant), ran out of Rose wine the "day before" but didn't replenish, food portions inconsistent, etc. not to mention they are in stone's throw from one of best - Hearth. Went a few times. Ordering system a bit weird but whatever. Pizzas had interesting ingredients and were fairly well-executed, but not as good as Antico, Ammazza, etc. Sandwiches ok, loved the salads. What turned me off was the general uppity corporate atmosphere, and mainly, THE MUSIC. Unless you think 15 year olds are your target clientele, restaurants on this side of town need to stop playing this new/current pop music trash like Kesha, Selena Gomez, the Chainsmokers, or pretty much anything on the Billboard Hot 100. I realize tastes differ, but even if they can't play something decent, why can't restaurants just go back to easy jazz Muzak or loungy type music instead of assaulting our ears with this garbage? After giving them a chance 2 or 3 times, I just couldn't come back. Not worth it. Dunwoody needs a restaurant similar to Matthews Cafeteria in Tucker. There is currently no place in Dunwoody to go for home cooked vegetables and good Southern food. Please consider this. town center/community park for dunwoody?  You are aware the city has already bought a new city hall and halfway through construction/remodel? You're a little late for this. It will end up being a zaxbys. Any chance the problem was that it was a "branded restaurant concept" rather than a "restaurant" per se? Executives were wanna be restaurateurs. I met with them prior to opening the first location and after hearing their clueless business plan and operating systems I walked away shocked that they could raise the capital to get this off the ground. When I got home I told my wife the CEO and his whacky VP of Op's were con-artists and were stealing the investors money. Stay clear of these two scammers because they will surely pop up somewhere else. went twice. early on after opening at lunch. Maybe 10 tables with customers and 30 people in the kitchen, another 15 servers. Every customer was waiting for a painfully long time to get their food. After over an hour we still hadn't gotten one side, despite telling each of the eight servers that came by to ask how we were doing about it. They made sure to tell us about the payment app though. We just gave up on our side. On the second visit place was almost empty. Same intensity from the nice servers. Faster food delivery, but still slow. Both times the people at the door were overwhelming for when you just walk in. Food was good and kinda innovative but at the price point there are many much better options in the area. The scam theory makes a lot of sense. Most pizza places have half the number of staff but serve four times as many people. It always seemed odd. 1/31/18 - Went there tonight w/ 6. It's under new ownership and it's very good. Good pizza, pasta, salads, beer, wine.